Posted on December 22, 2013 by Ayo Ayoola-Amale under AYO! A seed becomes tomorrow. Once more we saw the marketplace. For now a muse of centuries like lighted flowers sings in our hearts. Others like fire. Others like buds. What else have we? Here’s to a season filled with love, peace and joy! 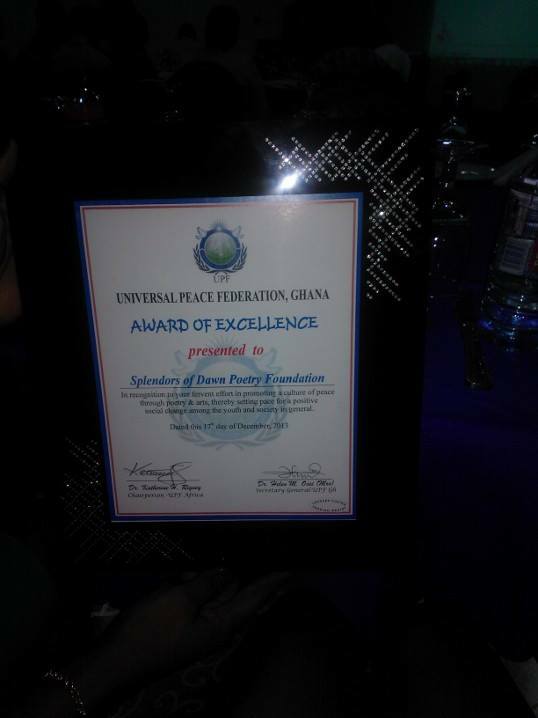 EXCELLENCE AWARD FOR HUMANITARIAN SERVICES 17TH December,2013. WE mourn the death of a global hero- Ex President Nelson Mandela. A great peacebuilder, an inspirational leader, a force for positive change, for peace and for reconciliation. Madiba lived. Madiba lives. A SILENT TIME DRUMS INTO SUNSET, LOVE ITSELF BREATHE DEEP INSIDE OUR EYES. NIGHT HAS FALLEN!